Through the use of insults, strict discipline, sleep deprivation, and controlled explosions, Army drill sergeants turn recent high school grads and civilians looking for a new job into trained soldiers ready to serve in America’s wars. This transition is, of course, painful — by design. 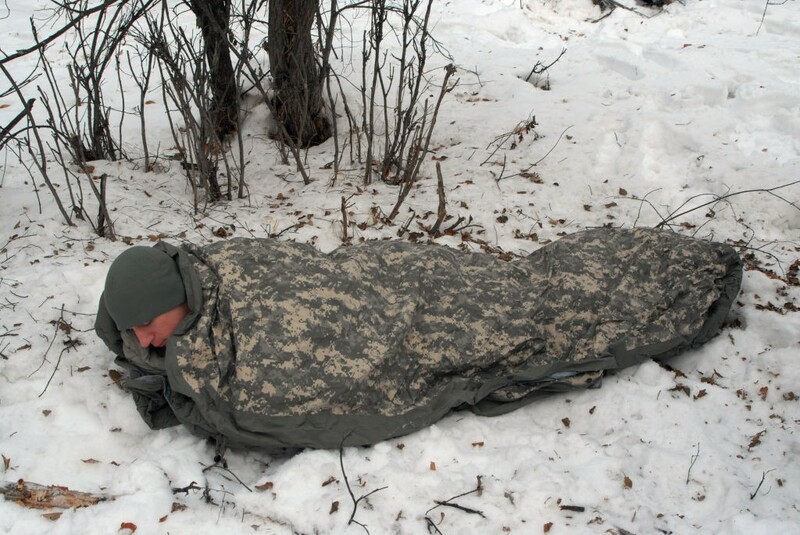 New U.S. Army soldiers are expected to operate on little sleep. 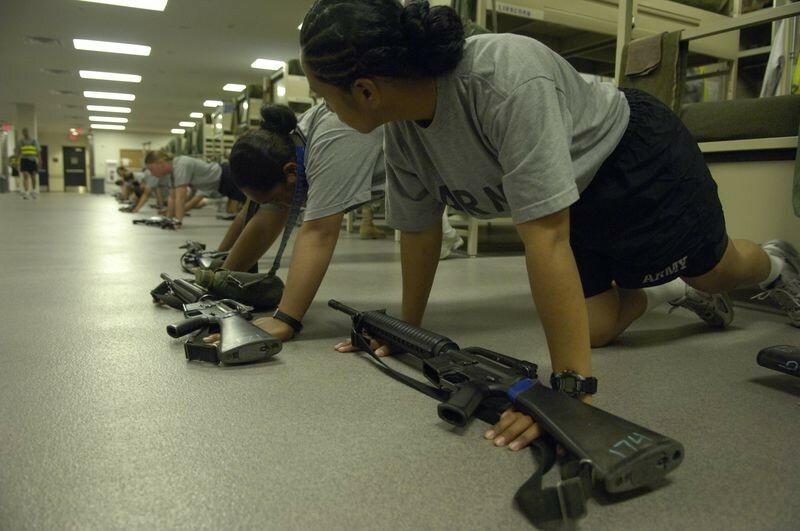 While in the barracks, recruits’ sleep is regularly interrupted by drill sergeants conducting inspections, punishing infractions, getting head counts, or waking soldiers for the heck of it. The party continues in the field where soldiers sleep in bags instead of beds. 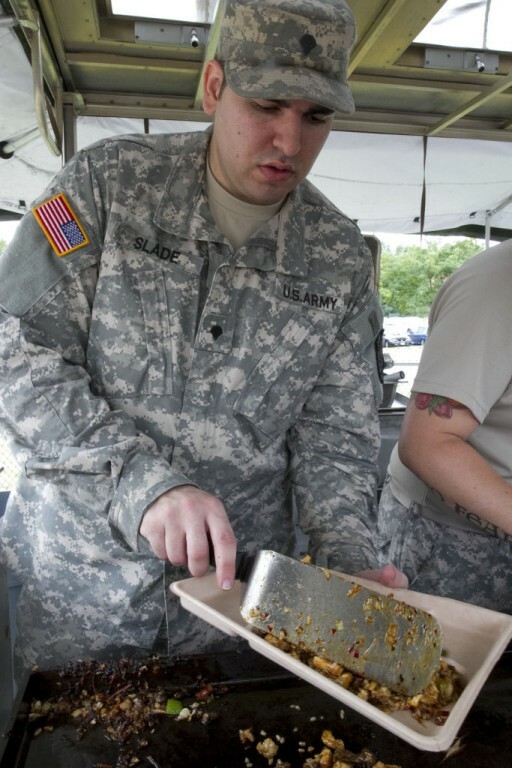 Military food is rarely praised, and basic training food is even worse. Eating periods are very short and are supervised by drill sergeants who pounce onto soldiers who reach for fattening or sugary foods. 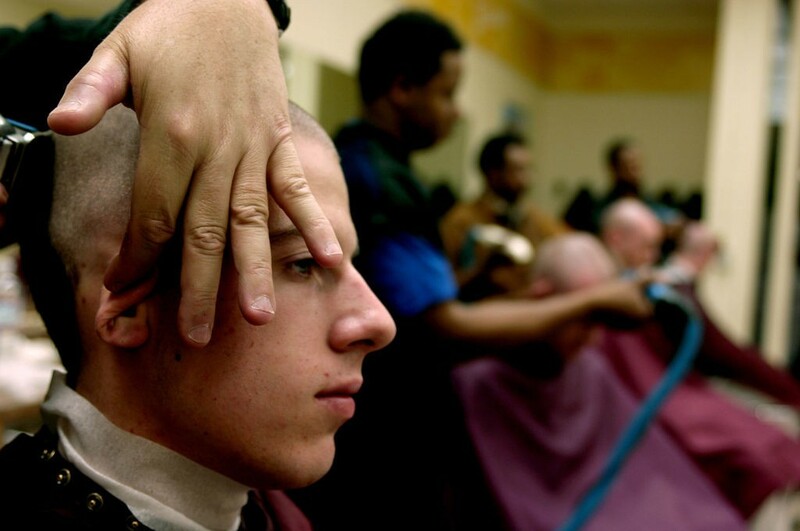 Soldiers get their heads buzzed, run in tennis shoes, and shave every day — but what most people don’t know is the trainees foot these bills. The shoes, haircuts, toothpaste, and other gear and services are all paid for by the trainees through Eagle Cash cards, a sort of military prepaid debit card. Most of these costs are defrayed by a uniform allowance that soldiers receive once a year, but the surprise bills still create complaints. 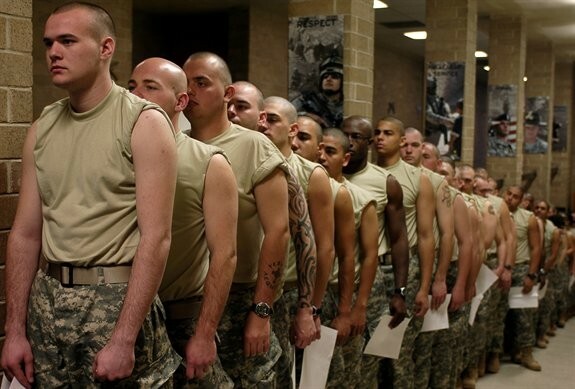 No matter how handsome you are, it’s hard to rock the haircuts, glasses, and tan lines the Army gives you. Males have to have their heads buzzed. 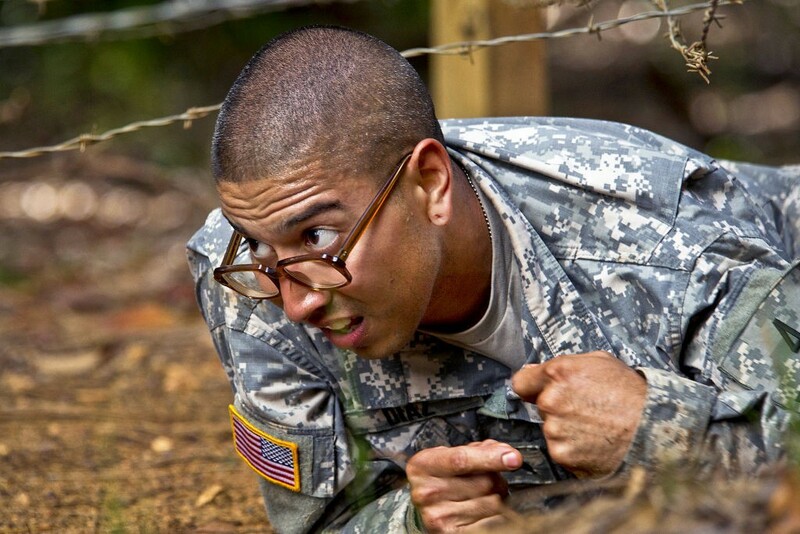 All soldiers requiring corrective lenses are issued basic training glasses, generally referred to as “birth control glasses.” And, after months in the sun in physical training uniforms, combat uniforms, and berets, graduating soldiers have deep tan lines around their wrists and across their foreheads. It doesn’t matter who the recruit is, even if they’re famous or the child of a general, they’re getting yelled at in basic training. 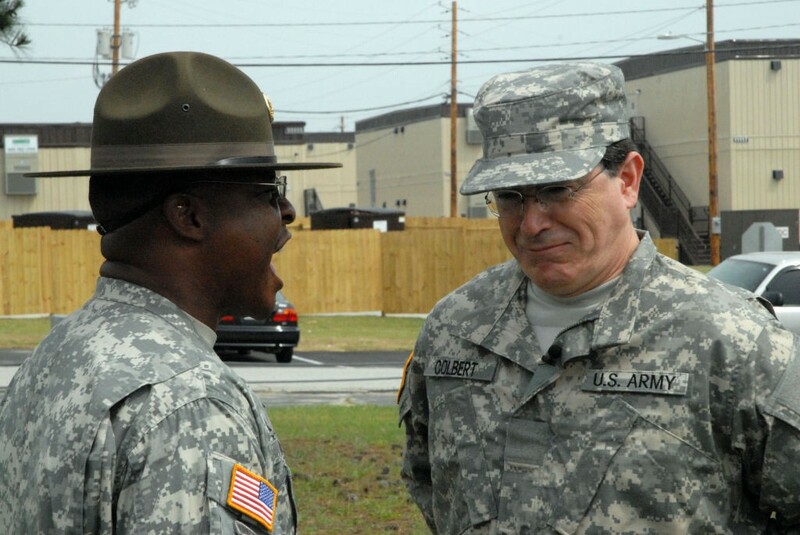 (Stephen Colbert didn’t even enlist and he caught the sharp edge of the drill sergeants.) Many recruits find themselves shocked at the sheer amount of verbal abuse as well as the language used. The language might be toned down, but the volume never will be. 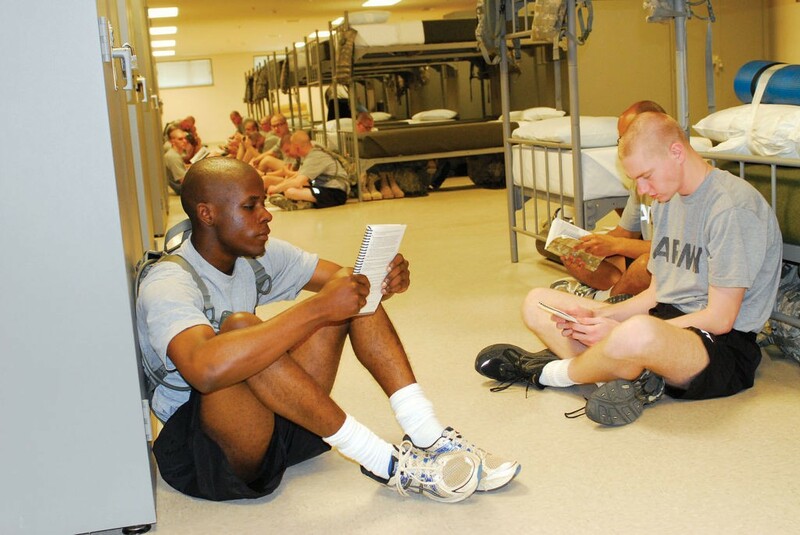 Though they will brag about these experiences later, all recruits have a training event they’re dreading during basic. Maybe it’s the CS gas chamber where they’re forced to remove their gas masks and breath deeply. Some complain about the night infiltration course where they must crawl across the ground while machine guns are fired over their heads and artillery simulators are thrown nearby. 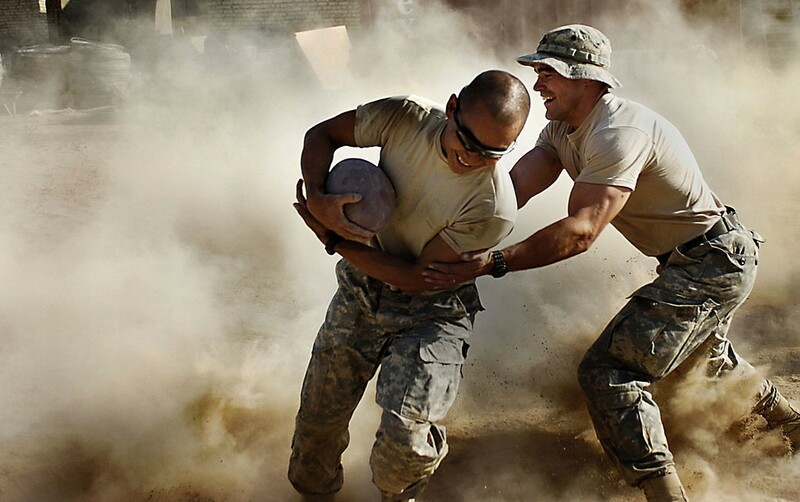 Most complain about the “smokings,” physical training sessions spread throughout the day to help new soldiers quickly build strength and endurance. They march as a group, eat as a group, sleep as a group, shower as a group. They go to the bathroom in, at a minimum, two-man teams. 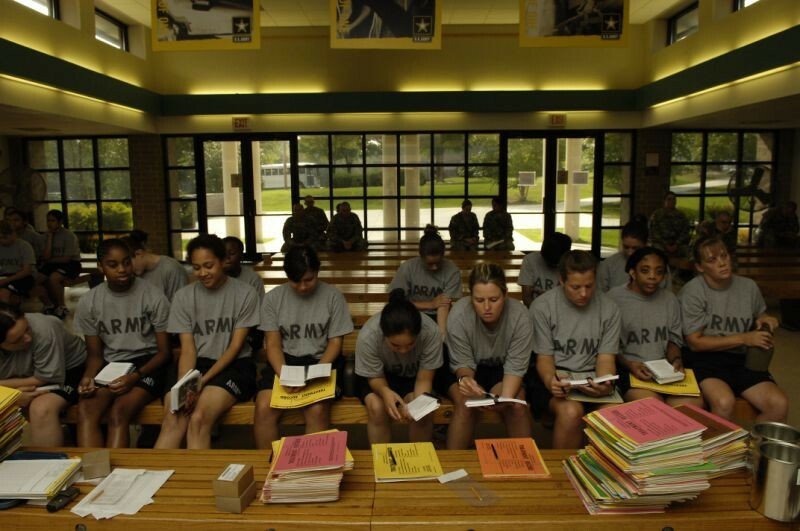 Recruits have no privacy for the nine weeks or more of training. 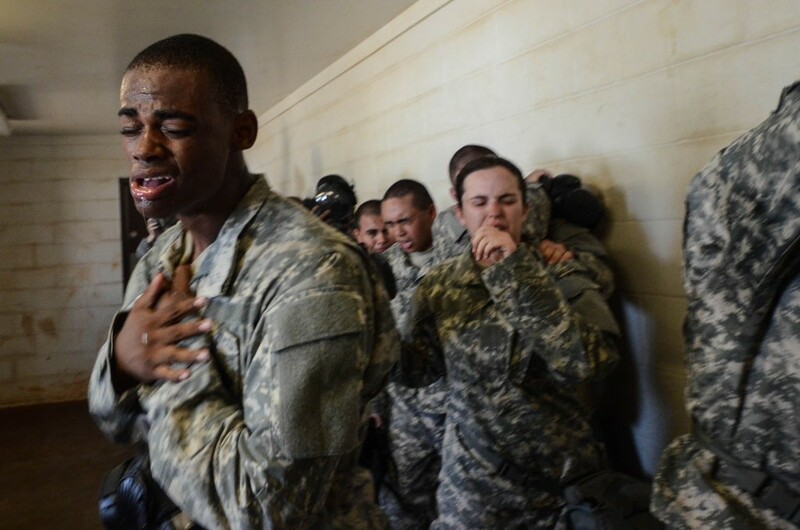 Soldiers who go through one station unit training, a combined basic training and job school mostly used for combat soldiers, will endure this for even longer. This can be a source of a lot of complaints, especially if a soldier is paired with another recruit they don’t like. The other recruits, especially the “blue falcons,” soldiers who screw over their peers by tattling or just being a moron, can be a major source of stress for new soldiers. When one basic trainee screws up, that means the whole platoon or whole company is screwed up, and everyone suffers equally. Bad hospital corners on one bed? Grab some real estate, soldier; you’re doing pushups until sweat fogs the windows. Adding to the atmosphere is that, after the punishments, all the trainees are still stuck in the same bay together, still sleeping four feet away from each other, still crapping in battle buddy pairs. And they remember which ones ratted them out. Soldiers are ordered to sprint between training stations, even if they can see the long line from a hundred feet away. Trainees run to the back of the line, then wait until the line moves. The experience and frustration defines “Hurry up and wait” — a military maxim.